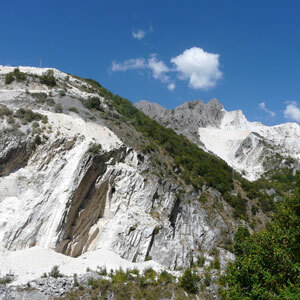 Our adventure begins by boarding a helicopter and flying off to discover every secluded ravine of the Alpi Apuane (Apuan Alps). Then stepping back in time to the Middle Ages, we will land within an imposing 14th century castle, Castel dell’Aquila. The chatelaine, Gabriella, will be on hand to greet and offer you a lunch consisting of typical local dishes that are simple, traditional, and, above all, appetizing. After lunch we will visit the castle and then embark upon our return journey in a minibus. We will drive along the ancient pilgrims’ route surrounded by Romanesque churches, medieval hamlets, castles, and woods that are thousands of years old. Departure: the tour can begin wherever is convenient for you. 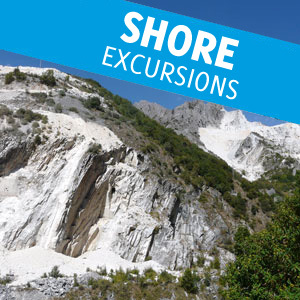 You can meet the guide in Carrara or the Versilia area, or at an additional cost, the guide can meet you elsewhere.